Bloggers Income Report 2019. How much money do Indian blogger earns. Bloggers Income Report 2019. Blogging can be full time career option. Don’t believe me, check some of the top bloggers earning below. Whenever i need to motivate myself, I always check for bloggers income report first. This boost me and keep my blogging dream alive. I love how much traffic is generated by this bloggers and how much this bloggers earns monthly. Some of the bloggers post their income reports monthly. Bloggers income report are completely transparent to visitors. They provide all details, such as how much they earn from adsense and affiliate marketing. This is the right time to dream higher. You have many options for your career, but if you want to be your own boss and hate 9 to 5 job, developing your career as a blogger is right choice. It seems you don’t believe me. I will prove blogging is better career option then choosing 9 to 5 job. You could earn more than a hectic 9 hour jobs. Below are the list of some successful people from India who transformed there career to full time blogger. Also I like to mention they earn much higher than a full time job salary. Yes you are right they have put lots of hard work to place themselves in this position. So let us start our list of top 10 Indian young bloggers income report. 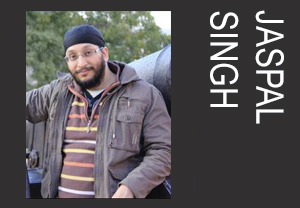 Jaspal Singh started blogging in Oct 2009. He blogs about internet, technology, SEO and softwares. He is very passionate blogger and have his own style of writing. He is very down to earth person and always motivates young bloggers. 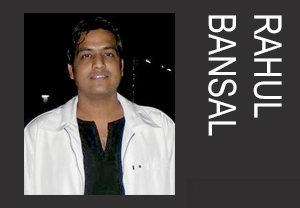 Rahul Bansal is founder of blog devilsworkshop. 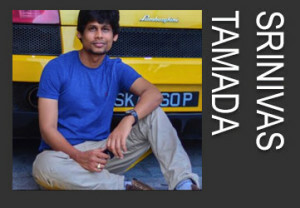 He is computer engineer and started his blog in June 2006. His blog post mostly focuses on news, analysis and latest trends in the market. His blog his host on github and anyone can edit the post, which give freedom and control of content to anyone. Update: He is not blogging anymore. It is believed once you start reading articles from shoutmeloud.com you will never leave this blog. It is kind of addiction for many visitors across world because of quality of content posted by him. I’m following Harsh blog daily and shoutmeloud is one of the blog which publish monthly wise income reports from the day when it was actually established. If you check closely you will get an idea, how step by step this blog got famous and reach this landmark. Monthly Earning: $52,434 (July 2018). Srinivas is an engineer, blogger and founder of famous blog www.9lessons.info He post topics and tutorials which are focused on programming, web design, web apps and php. He is kind of technical blogger. Location: Chennai, India (Currently lives in the U.S.). Founder of www.alltechbuzz.net his article focused on SEO and traffic generation. Imran is based from Andhra Pradesh. He is very talented professional and his articles really help most to increase the traffic on the website. He also blogging consultancy services for young bloggers. 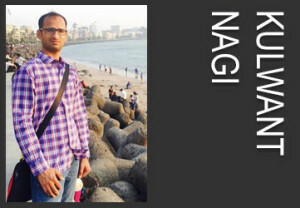 Kulwant Nagi started his blog blogging cage on 15th January 2012. His blog mainly focused on article about blogging tools, SEO, wordpress and money making tips online. Interview section is best place to find inspirational stories and latest technical updates. You will find interview about famous personalities in online industries. 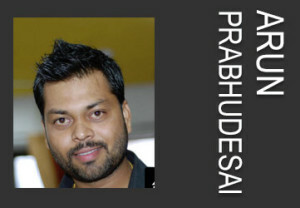 Arun Prabhudesai famous blogger my home town [Pune]. He is passionate blogger and internet geek. I would say most of the online visitors from India prefer to read articles about telecom industry and telecom updates from his blog www.trak.in. His blog mostly focuses on business startups, financial news and stock market etc.  www.Yourstory.com started as blog but now it is one of the famous news and resource platform with Multilanguage support across the India. Yourstory is partnered with the major brands such as google, IBM, Amazon etc. Location: from Patna, Bihar (works from Bangalore, India). The last in my list is Neil Patel, he is based in USA. Yes “He is Kind of a Big deal LLC” and absolutely he is rock star blogger among all. He have multiple tools and blogs. The way he post his articles are very engaging. He is the past and future of blogging. I would say the best designed blog with excellent structured articles. He write about SEO and he is the king of SEO. 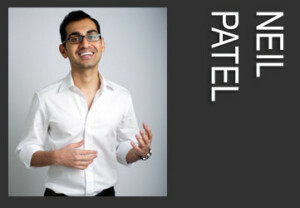 Neil Patel is founder of Crazy egg, Hello bar and kissmetrics. He have a great portfolio. So it is right time to charge yourself and start your own blogging business. I know you are excited by reading bloggers income report. Anyone can be blogger and earn online. Leave your comments below. If you want to be professional blogger, you can select any niche. Maybe a travel blogger, food blogger, fitness blogger or technical blogger. First of all you need great tools such as good hosting and other digital marketing tools. I appreciate for posting this article. Very much impressed to see this guys earnings good from their blogs. Lot of hard work and dedication have made them successful. Thanks Maruti. Yes without hard work and dedication no one reach at that level. But more important is passion and never give up attitude. I could not believe that Jaspal Singh from SaveDelete one of the well known blogger in India have commented on my blog. Thank you so much for your valuable comment and I’m super excited about it. A great inspiring article will try to follow these gems. Thanks for your views. That’s really great to hear about your friend earnings. You can check all bloggers earnings by directly visiting their blogs. I have posted their earnings by checking monthly report. Thanks Harsh. Hard work and dedication will top you in the list. I have checked your blog, it looks amazing and have useful information’s. 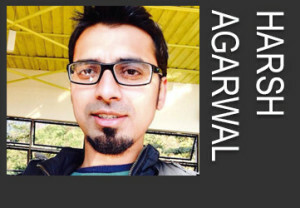 Harsh Agarwal is a pro blogger and one of the popular blogger in the world now. I have seen his recent article on visiting to google office which is a great landmark he have achieved. thank you for given article information. Thanks. Yes all of them are technical bloggers. 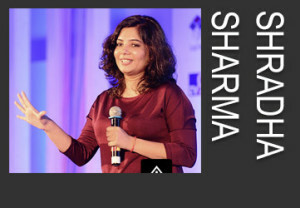 I posted this article for young bloggers to get inspired by this famous bloggers of India. You forgot to mention Mr. Tony John. He is also a blogger and earn decent amount of money from his blogs. Apart from that he was also awarded as the MVP from the Microsoft. thanks for sharing valuable information. Hmmmm, nobody cares for Education blogs, these lists are made by techies and for techies. Thanks. Yes all of them are technical bloggers. 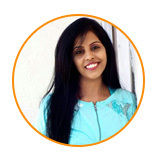 I posted this article for young bloggers to get inspired by this famous bloggers of India. You forgot to mention Mr. Tony John. He is also a blogger and earn decent amount of money from his blogs. Apart from that he was also awarded as the MVP from the Microsoft. You should checkout his website Techulator, India Study Channel, Dot Net spide, etc. Thanks! Next time I would like to include all top bloggers from India. I like you hard work and i am sure one day you will also post my name in this type of list 🙂 in your future post. I would be very happy to add you in the list. I know some of the bloggers above, firstly i shocked when i know about Bishwal Biswas earnings and he is very inspiration for every start up blogger. Next about Harsh, what you write about him in article is true, people are mad about him when he came to Hyderabad for summit i personally met him, He is down to earth person, i learned lot from this shoutmeloud website. 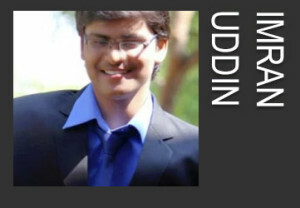 I know Imran Uddin too, his articles are very interesting to read and he one of the top blogger in Hyderabad. Anyway thanks for great stuff again. Thanks. 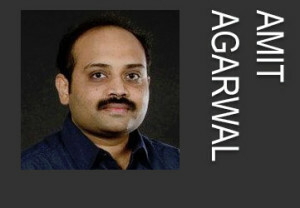 Yes Harsh Agarwal articles are very easy to understand. I’m following shoutmeloud from past 5 years. i wish i would be here in this list someday…..keep posting…. Thanks Bunny! Live & Eat blogging, I will happy to add you in this list. Great Article Bro, Your article inspired me. Thanks for sharing. Wow! This could be one particular of the most beneficial blogs We’ve ever arrive across on this subject. Basically Wonderful. I am also interested in like this topic therefore I can understand your effort. Good information, please update the same for 2019 with more earning stats.